Glen’s Garden Market | Gluten Free D.C.
What I got: Chicken salad with spinach, roasted root vegetables, quinoa salad, chickpea and cauliflower salad. You can choose from four sides or two sides and one entrée dish for $10. This option is a great way to sample a few of the mouth-watering dishes. 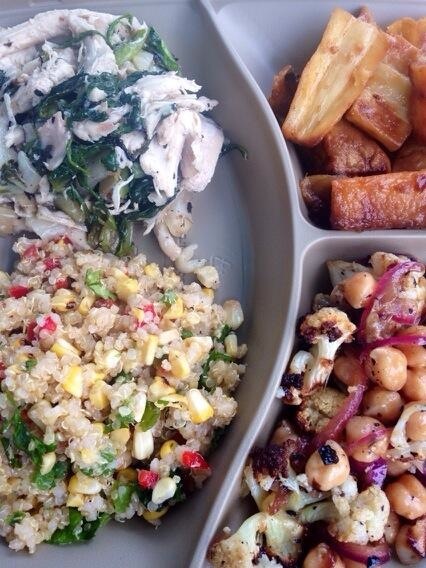 Chicken salad with spinach, roasted root vegetables, quinoa salad and chickpea and cauliflower salad. Gluten-free friendliness: The prepared food options are all marked with gluten-free and vegan indicators. Delicious soup options are great for these colder days. Needless to say, it’s best to steer clear of the sandwich counter. 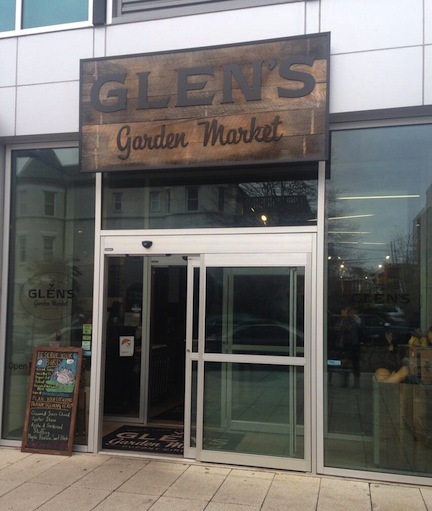 Overall vibe: Glen’s Garden Market is a fresh, modern take on the neighborhood grocery store. The market, which boasts “good food from close by,” offers locally sourced food. This is a great place to grab a quick bite that you can feel good about eating. (Both the environment and your body will thank you.) I wouldn’t recommend doing your weekly shopping here, though. The products can be a bit pricey. This entry was posted in DuPont and tagged Dinner, Fresh, GFDC, Glen's Garden Market, Gluten-free food, Gluten-free restaurants, GlutenFreeDC, GlutenFreeDiet, Local, Lunch, Market. Bookmark the permalink.